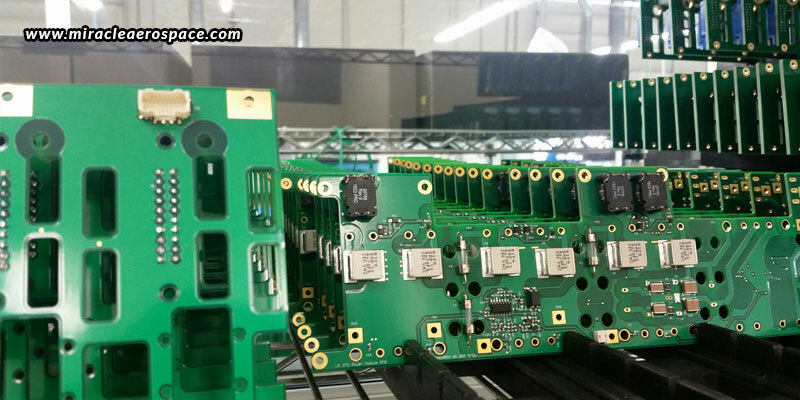 PCB fabrication and assembly is an intricate process that has a lot going into it. Right from the designing and layout to material sourcing, manufacturing, testing, and packaging, there is a lot that does into the entire process of manufacturing a PCB assembly. You can have all this intricate process taken care of by an experienced PCB assembly manufacturer from India, one like Miracle Aerospace, who has complete experience of manufacturing diverse PCB assemblies like μBGA and surface mount for military, aerospace, and aeronautics applications. Getting your PCB assemblies manufactured could make it an expensive purchase because of the intricate elements and processes involved. However, with careful choices, you can have a cheaper and cost-effective product. For this, there are certain considerations that you need to make. You can adjust your PCB assembly request to get a better quote for your project. All you need to know is the factors that can impact the quote. As a general rule, a standard PCB with standard size and standard elements, will cost much lesser than a customized PCB assembly with personalized sizes and constituents. But, if you still have to have a PCB assembly customized, here are a few factors you need to consider if you want to have the best quote for your PCB. The size of the PCB – Generally, standard PCB sizes work well for majority of applications. But, if you want a slightly smaller or larger PCB, you will have to get it customized. While a larger PCB will definitely cost more, a smaller PCB manufacturing may also charge extra for the customization being put in. The number of layers – How simple or complex your PCB assembly is can affect the quote of your product. Standard PCBs have 4-10 layers. But, if you want more layers added, you can have your PCB customized. More the layers, higher the cost. The most complex boards that are used can have up to 42 layers! But, if you want a lower quote, try to have the least number of layers added for your PCB assembly, just the number your application requires. The board’s thickness – Now, you would say that board thickness is almost the same as the number of layers that make up the board. But, this isn’t completely true. The thickness of the board is actually determined by the ounces of copper used in the board. This means that a thicker board will have more copper, which means a higher quote. The general amount of copper used is between 1-2 ounces, but a PCB assembly manufacturer from India could use up to 6 ounces of copper too. Another tip here to have the best PCB assembly is to have a number of prototypes first before your mass production. Even if you have the simplest kind of PCB being made, you should have around 11 physical prototypes to the minimum. More complex PCBs require up to 16 physical prototypes. These prototypes ensure that the manufacturing is on point.